While the US Midwest suffers with below-Arctic temperatures, winter tightens its icy stranglehold on Europe, where a considerable number of people are struggling to keep their homes warm. 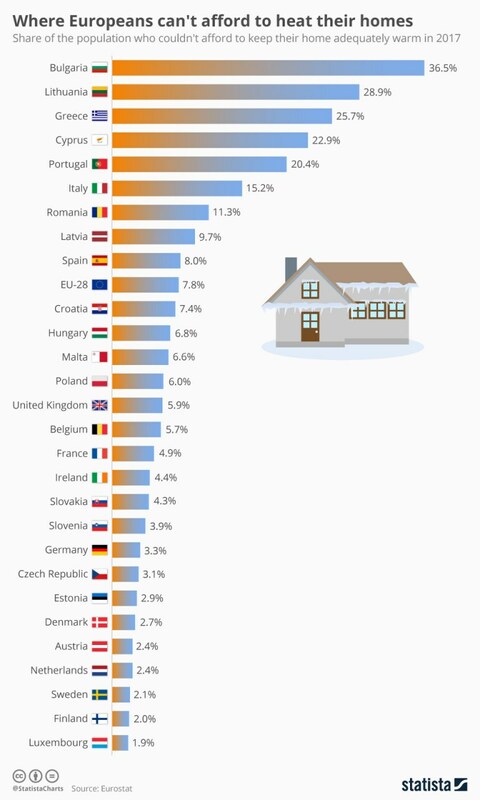 According to new data released by Eurostat, 8% of the EU population couldn’t afford to adequately heat their homes in 2017. That still represents an improvement on recent years, especially 2012 when it peaked at 11%. Copyright © 2019 PressClub World. All rights reserved.